Our heroine, a reporter, played by Tan Song Yun. The new rookie in charge of following and reporting stories about the Annual Swimming Competition. Our hero, because of a mistake three years ago, is forbidden from swimming. In those three years, he studied hard and became a model student. While his best friend took home pride for China at the Olympic with bronze and gold medals, he buried himself in academics. When he finally returns, they are at different level of popularity, and when reporters swarm his best friend, he finds himself in an awkward but memorable interview with the rookie reporter, even gifting her a pair of goggles at the end. She returns the favor by giving him a boiled egg. LOL. Awww! Dylan Xiong Zi Qi, our hero, from the band SpeXial. 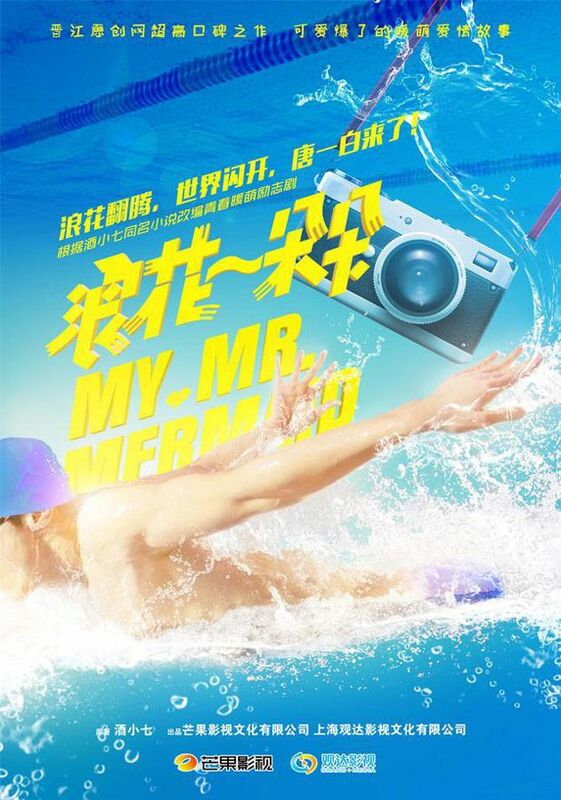 Produced by Hunan, My Mr. Mermaid aims for a release in summer 2017. YAY! Perfect timing! 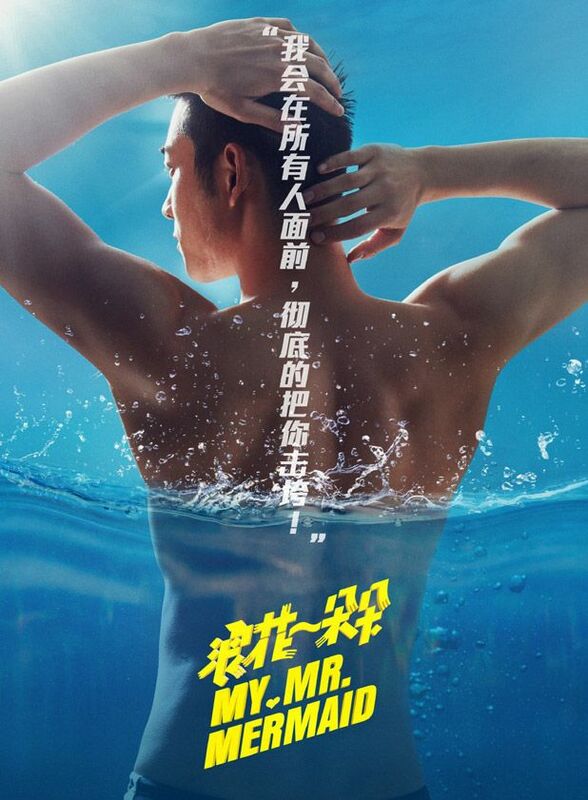 This entry was posted in Entertainment News and tagged Author: Jiu Xiao Qi, Cdrama, Dylan Xiong Zi Qi, Huang Sheng Chi, My Mr. Mermaid (浪花一朵朵), Novel Adaptations, Pang Han Chen, Peng Yu Chang, Seven Tan Song Yun by Kappy. Bookmark the permalink. Wow that’s a lot of skin! It seems as if Yang Yang is affecting the production somehow because I notice a trend of skin waist and up and like we discussed, Yang Yang has some special characteristics worth mentioning. Of course, of course, there’s no complaining either way LOL. All are hot regardless! They must look hotter in the waters. Ahhh that makes me think back to LOVE O2O movie version when Boran came out of the water like the 男神 he is. *Meep* I must seem like an obsessed fangirl at this point…LOL I got distracted while commenting…and I also feel just a little bit hyper. Hyper can be good. Hyper away Meimei! LOL. Yang Yang needs to work out more if he wants me to fangirl over his body! So pale and exactly like the term, fresh meat! I need these kids a little tanner! They’re paler than me! heh. Pale is in though sis! It’s all about the milky white skin. Tan Song Yun moving up the ranks! Finally! She’s adorable so I hope she goes far in the future. So youth-ful looking too, like another Ariel. So much fresh meat haha.